Finally! 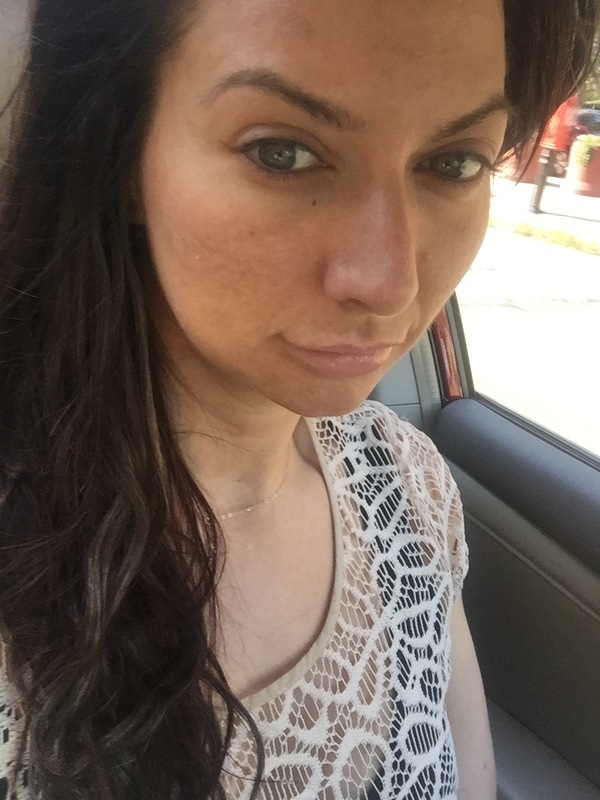 A new video blog to help navigate the types of hyaluronic acids for lip injections! Going under the knife isn’t your only option to change your nose. Fillers and Botox can be used to change angles and light reflection to give the illusion of a smaller nose. This is a great option for TONS of people but not many people have heard of this! 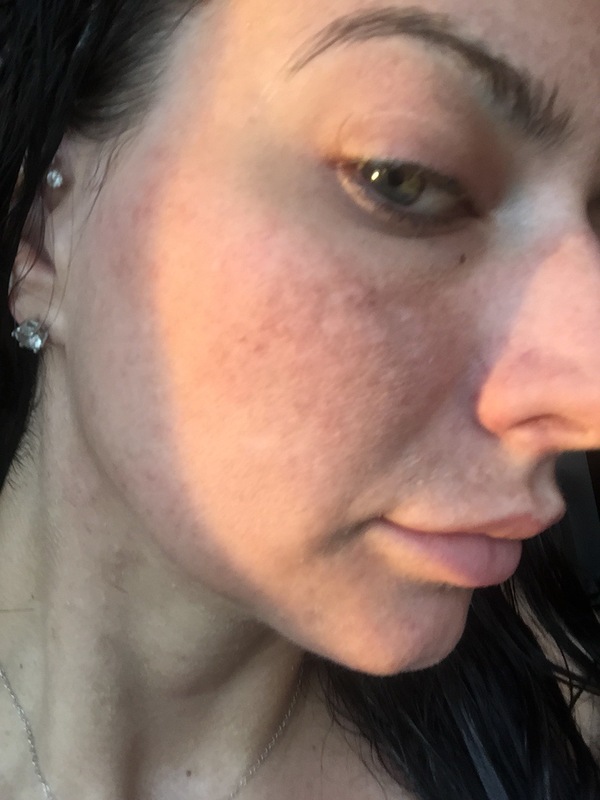 Collagen Induction Therapy (CIT) with Platelet Rich Plasma (PRP) is a remarkable procedure which combines the use of microneedling and the abundant growth factors found in one’s own blood to enhance natural collagen production and stimulate blood supply to the skin, resulting in a significant improvement of fine lines, acne scars, and sun damage and leaving you with a glowing, more youthful complexion. Although not a new technique, this skin care treatment is certainly the hottest trend right now. This procedure, also known as Micro-Needling, is clinically-proven for treating aging, pigmentation, and scar tissue, and recently, stretch marks. This minimally invasive procedure uses a sterile, automated, micro-sized needle device system to build up the connective tissue in the lower skin layers (dermal layers) while keeping intact the protective layers of the skin (epidermal layers). In fact, CIT is the only skin rejuvenation treatment to target and regulate all 3 skin cells (keratinocyte, melanocyte and fibroblast) without compromising the integrity of the epidermis. Controlling the depth, angle, pressure, and speed of the needle is imperative to the safety and outcome of the treatment, and cannot be done effectively with manual rollers (dermal rollers). 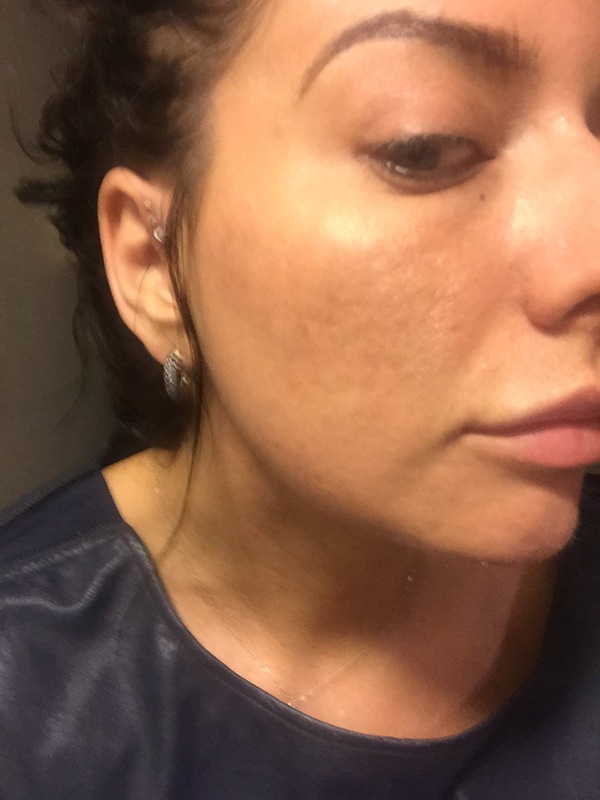 Collagen Induction Therapy works by creating a controlled “injury” to the skin, resulting in a systematic interaction of complex cellular events. In order to work effectively, the mechanical stimulation of the dermis must activate a wound healing response, but the wound must close quickly or scar tissue will form. CIT can penetrate the skin anywhere from 0.5 mm to 2mm depending on the depth of the skin condition needing remediation. The skin bleeds slightly but for only a short period (seconds). When the dermis is penetrated by the needle, the skin activates the complex cascade of growth factors that eventually result in collagen production. By inducing the healing response system in a controlled manor, scarless healing and normalized collagen structures result. 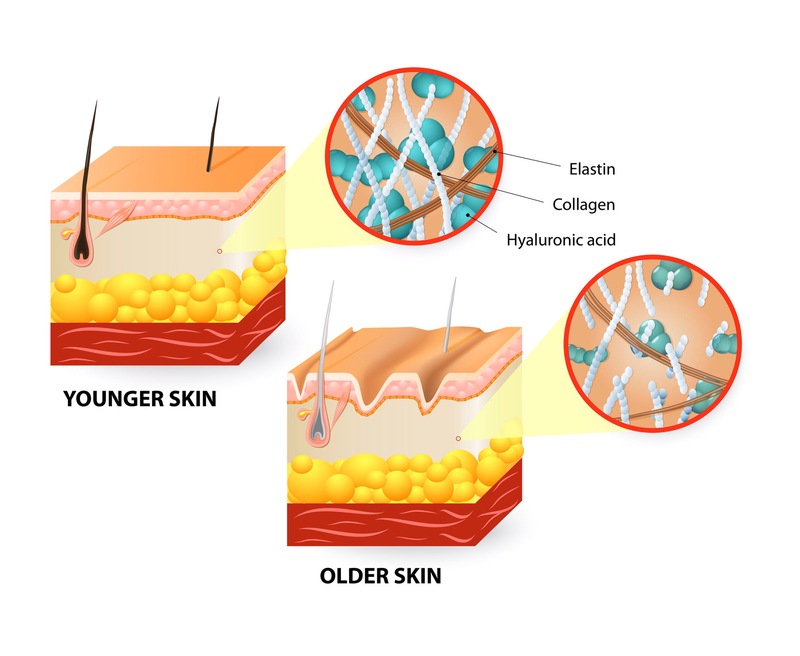 The growth factors released stimulate regenerative healing (collagen forms from the base upwards) resulting in type III collagen or healthy collagen as opposed to the growth factors released when the epidermis is damaged by ablative or heat methods, which result in cicatricial healing (collagen forms from the top down) and is type I collagen or scar collagen. As the collagen matures and remodels, it tightens the skin. A thickening of the epidermis by as much as 40% has been observed. Because there is no heat involved in the process, there is a low risk of post-inflammatory hyper-pigmentation, making it safe for all skin types. The “wounds” created by the needles also act as channels through the skin layers, and therefore a product will penetrate deeper into the skin when applied topically. Large molecules that cannot typically pass through the epidermis alone, such as hyaluronic acid, will penetrate very effectively through the channels. Although channels should close 15-20 minutes post-treatment, it is imperative post-care involves using ONLY the topical products instructed by the provider to avoid any reactions. 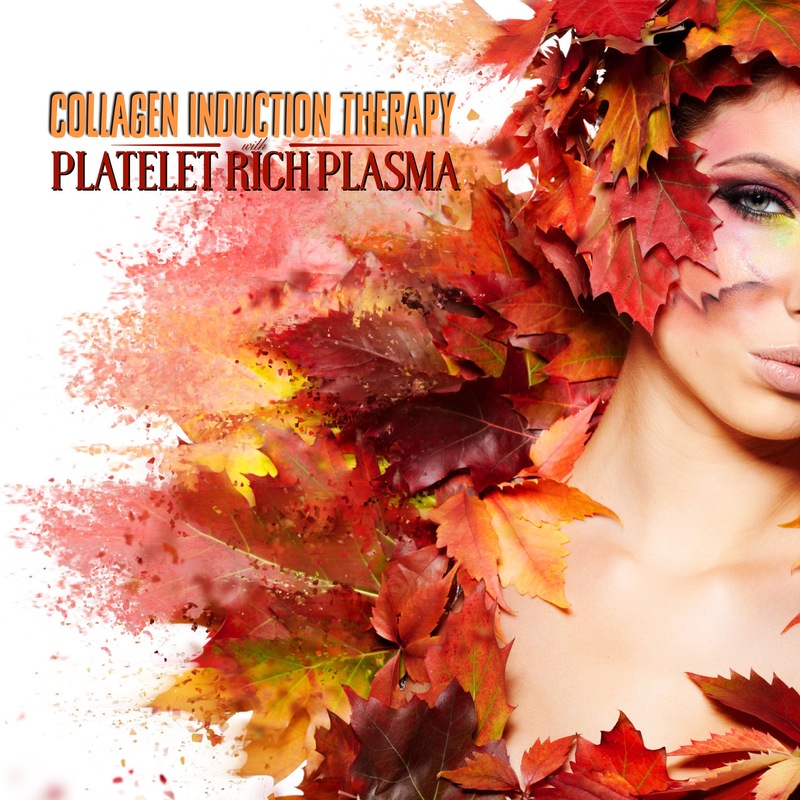 This makes a great treatment with Platelet Rich Plasma…. Blog coming soon! This system has many benefits compared to other more invasive and painful treatment options. Reduced risk of hyper-pigmentation and scarring therefore safe on ethnic or dark skin. Suitable for thin and sensitive skin. Can be done on areas of skin not suitable for laser or peels. No line of demarcation between treated and untreated skin, as usually occurs with other resurfacing procedures. Regular activities can be resumed within a few days, depending on the depth of penetration of the needles. Basically, it was so impressive that after reading about it and seeing it done on a surgical scar, I tried to buy it an hour later. It’s been the longest three weeks of my life. 😒. But my new employee HAS a micro-needling system. So for your viewing pleasure…. I had it done (and I skipped out on Pure Barre I wanted to do it so bad!). (Also… I was planning on going to the Container Store… As I mention in the video–totally worth it!). Although I am very red in the video, by the time I left the office it only looked like a slight sunburn. A few hours later my face peeled like crazy. I was sloughing off layers of skin while I applied hyaluronic acid. I thought I eould continue to peel, and didn’t immediately take a picture. By the time I woke up the peeling had subsided. Not everyone will experience peeling, but if you do, don’t pick at it! It is imperative patients follow post-care instructions after professional Collagen Induction Therapy. You cannot go in the sun for 24 hours and you have to wear sunscreen. In the case of acne scars, after the skin needling procedure, the face should be cleaned with a gentle cleanser before bed. The next day, the face may be cleansed and makeup, lotions and other topical products applied as instructed. For more information…. Stay tuned! Patients have been thrilled with this treatment. For more information, A Girlfriends Guide to Vampire Facelifts a first hand account from Kim as she describes her treatment with me. High School Reunion: Look Better than You Ever Have! or at least look like your Facebook photos! Ok, so I haven’t yet gone to any of my reunions… I run into people from my High School every now and again (you know… While I’m Botoxing them in my office….). It is always great to catch up with the people who knew you when… Unless you don’t like them. Then it’s great to look better then they do. As as for the ex-boyfriend factor… Personally, I ran into one of my high school ex’s recently… Ehhhh what was I thinking?!?!?!!!!!! (Dad, you were right about all my boyfriends!). Even so, it can’t hurt to look uber attractive at a big reunion. I just picture Romy and Michelle… Inventing post-it notes. Ugh… And that AWEFUL football player. Insert theme music: time after time. Love that song. Sorry… I digress! A reunion is as good a reason as any to want to look good. Feeling good about yourself physically boosts your positive self-image and brings out an all-around better you! And what could be more attractive then that?